Are you a Mum who struggles to stay in shape and fit everything around a busy schedule? It's tough being a Mum but you are not alone. I'm a Mum of two young girls too. I'm in your shoes and I still struggle to look after myself properly what with a successful business to run, children, a husband and a home to look after as well. Even with the knowledge as a fitness & nutrition professional I'm far from perfect. My husband is often away working and I can't always find time to get to the supermarket, so making meals out of whatever is in the house has become a necessity at times! You've probably seen those impractical detoxes and celebrity diets that are not relevant to your life in any way. Hunger from attempting to live off very low calorie liquid meals, complicated recipes, difficult exercise regimes, time consuming meals that don't cater for family needs, and even if they did make you drop pounds initially, you most likely regained the weight or you wouldn't be reading this now. Even most personal trainers and elite gyms won't provide the dietary and motivational support required to lose weight permanently. The problem with quick fixes and on-size-fits-all plans is they actually cause more harm than good in the long term and may make losing weight permanently in future much more difficult. They are hard to stick to either because you're always hungry or craving the very foods you are told to avoid, or because they involved strict and complex systems that won't work when you are very short on time or haven't managed to get to the shops. They create a distorted relationship with food and poor body image. To get out of this cycle you need to be committed to investing in yourself, learning new skills and more importantly doing them, following my advice, and trusting the process that will get you the results you want. TRY IT FOR JUST £1! Not sure yet if this is right for you? No problem! Come and experience a full BodyBack membership with all the content and support my Mums get, and you can cancel within 7 days with no further payments taken. - personal help and guidance transforming unhelpful habits into healthy long term skills. - no foods are off limits, and we'll work within your personal preferences, choices, and lifestyle. 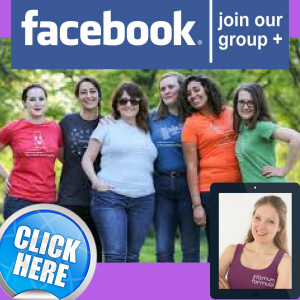 All members get access to a Community Support Group with direct access to me, support 24/7 when you need it, and a community of Mums all in the same boat as you. A copy of my book ‘How To Make A Supershake’ so you’ll never get bored of ideas for quick, healthy and tasty meals in a hurry. Fat Burning Recipe book in addition to hundreds of recipes already included in the programme, too keep meals interesting and stop you getting bored. Optional Plan Extension is available to those who need more time than the three month plan but don't want to purchase the lifetime access option. This will include any updates made to the plan, plus you'll get a BONUS new meal plan sent to you every month!